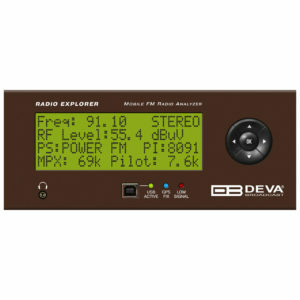 DB7007 is a second generation digitally-tuned FM Re-Broadcast Receiver. 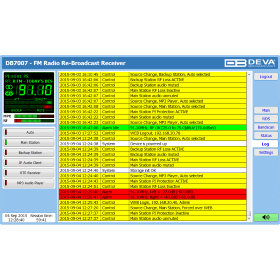 Considering the needs of the most demanding broadcasters and continuously supplementing new features to our devices, DEVA has enhanced DB7007 to be smarter and fully functional unit, equipped with two high-selective DSP-based FM tuners. Thanks to the built-in monitoring system, upon audio loss at the inputs, DB7007 will not only notify the maintenance staff, but will also automatically switch to the second back-up RF Station. 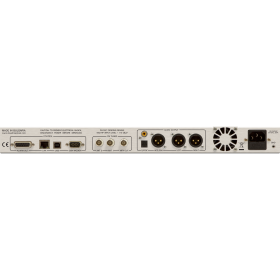 In case a fail of the second station is detected, DB7007 will shift to the incorporated IP Stream, MP3/AAC back-up audio source player. It is essential that the back-up sources priority is user-defined. The audio files and playlists can be uploaded in the device’s internal memory directly from your PC, via any FTP client. When the signal at the default input is restored, the DB7007 will automatically switch back to it. Depending on your preferences, several types of alarm notifications are utilized – E-mail, SNMP and SMS (via the optional GSM modem). 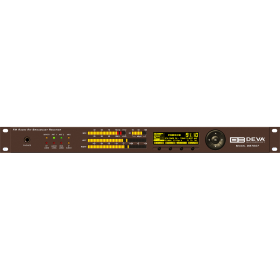 The DB7007 has an easy to read, high-resolution OLED graphical display, front panel alarm indicators and ultra-bright bargraphs with up to 40 LED segment indicators that allow reading at a glance of the MPX, Left and Right audio and the RF level, as well. 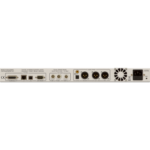 The RF (IF) signal is digitized as soon as it enters the device and all signal processing is then made through DSP algorithms, thus guaranteeing measurement reproducibility over time. The IF bandwidth filters guarantees unprecedented signal selectivity, while the difficult adjacent-channel problem will be completely solved. 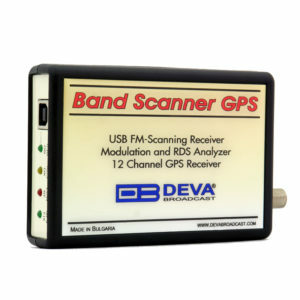 DEVA advanced DB7007 will measure all important parameters of the FM transmission. Additionally, the RDS information contained in the processed MPX signal is easily visualized and represented as RDS/RBDS Data and detailed RDS/RBDS Statistics. 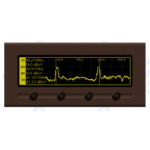 The utilized Band Analyzer function presents an overview of all available FM signals, plus the RF signal strength. Scans can be performed within any section of the FM band in 4 different frequency steps. The consequently generated spectrum diagram visualizes the relation RF Level vs. Frequency. Adhering to the underlying principle of all DEVA products to be as much user-friendly as possible, the DB7007 can be also easily controlled through the built-in Web server – you can use a standard web browser to monitor the status or to make any adjustments (iOS and Android devices are also supported); the supplied free of charge DEVA Device Manager Software or alternatively, through the very intuitive user interface. for a first rank re-broadcast receiver.